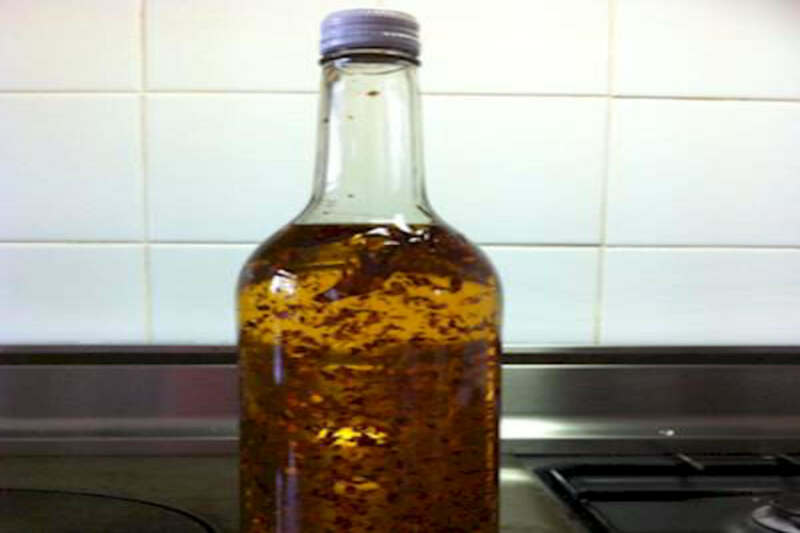 When you have this mildly hot chili oil in hand, you can work miracles with your dishes. 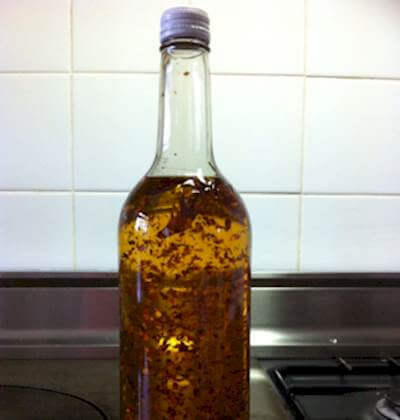 Spice up your salads, soups and stews or serve this chili oil alongside crackers as a dip. RecipeSavants.com When you have this mildly hot chili oil in hand, you can work miracles with your dishes. Spice up your salads, soups and stews or serve this chili oil alongside crackers as a dip. Smart Recipes, Mediterranean Recipes, Other Recipes, Recipes Other Mediterranean Chilli Olive Oil PT20M Serves 10 Ingredients: 25 Fluid Ounces Olive Oil 4 Chili De Arbol 2 Ounces Chilli Flakes In a skillet, heat olive oil over medium heat and cook chilies and chili flakes for about 3-4 minute, stirring continuously. Remove from heat and keep aside to cool for about 10-15 minutes. Transfer the oi mixture into a sterilized bottle and keep in dark and cool place for 1-2 months, shaking the bottle once a week. Refrigerate after opening the bottle.